I’m pretty sure I was the only person in Samoa who groaned every morning I saw the sun rising in a clear blue sky. And I was possibly the only person in the island nation who cheered any time I woke to grey skies and, even better, the sound of drizzle pattering on a palm-thatch roof. That’s because I’d traded the usual South Pacific holiday — lounging by a lagoon and that sort of thing — for a week of cycling around Savai’i, the larger of Samoa’s two main islands. Savai’i is as close to cycling heaven as you can get. The terrain is gentle, the road is sealed (I say ‘road’ because there’s just one that circles the island), traffic is light, accommodation is spaced an easy day’s riding apart, and there’s plenty to see along the way. 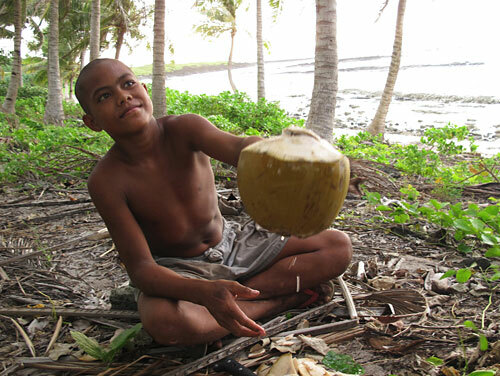 A boy offers the parched cyclist a freshly opened coconut. The only catch is the heat. Even the gentlest incline feels like a mountain when the humidity is in the high 90s and the mercury is nudging 35 degrees C. Hence my joy every time a new day dawned cool and grey. Organising a bike ride around Savai’i is surprisingly easy. Most airlines will let you take your bicycle on the plane as long as you remove the pedals and pack it into a box, but I went for the simpler option of hiring a bike on arrival. All international flights land at Faleolo Airport on neighbouring Upolu Island; from there it’s a 20-minute taxi ride to the headquarters of Outdoor Samoa, probably the best cycle hire business in the country. And once you’ve got your wheels it’s just a 15-minute ride to Mulifanua wharf and the ferry to Savai’i. I opted for Savai’i rather than Upolu because, although bigger, it’s a lot less populated. That means less traffic and far fewer of the bike-hating, semi-feral dogs that plague Upolu. Plus you’re more likely to experience the traditional Samoan way of life — they call it fa’a Samoa — on slower, sleepier Savai’i. There are only two hazards facing the cyclist on Savai’i. (Traffic isn’t one of them. Most drivers are courteous and the speed limit was dropped to 40km/h in 2009 when Samoa switched to driving on the left to make the most of cheap second-hand cars from Australasia and Japan.) The most serious is the dogs, as already mentioned, but they can be sent packing with a few well-aimed stones. Some chiefs on Savai’i have had the foresight to ban dogs from their villages. Children cool off in a pool at Satuiatua village. The other hazard, if you can call it that, is the risk of developing a repetitive strain injury from waving to every child on the island. 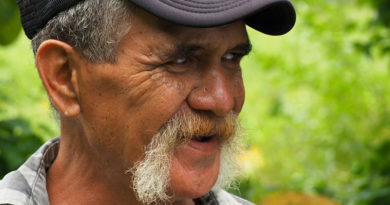 One of the charms of Samoa is that any child old enough to speak, even when hundreds of metres from the road or deep in a taro plantation, will wave enthusiastically and call out “bye!” to any tourist passing on a bicycle. Older kids walking to school will insist on high-fives as well. It would be rude not to respond. One of the other joys of cycling around Savai’i is the accommodation. 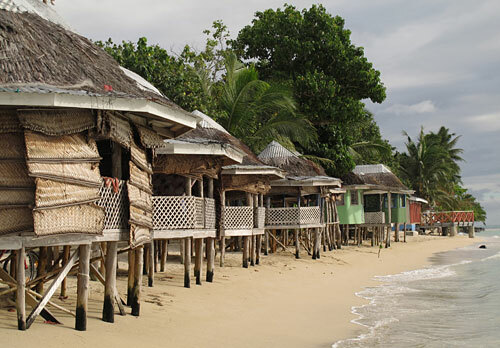 Basic beach resorts are at most 50km apart, even on the less developed south coast, and usually consist of a row of fale — simple huts with thatched roofs and walls of woven palm fronds, raised on stilts above the beach — with shared toilets and showers. Accommodation with breakfast and dinner included costs as little as 60 tala (NZ$34) a night, and Samoa is one of those rare places where solo travellers are not penalised with higher per person room rates. Mosquito nets are provided in even the simplest resorts but air-con — apart from the sea breeze wafting through the walls — and hot water usually aren’t. If you can’t survive without either you may have to stick to the more developed north and east coasts, but you’ll miss much of the best Savai’i has to offer. During my ride the food varied from basic to veritable feasts with tables groaning under the weight of taro (a starchy Pacific staple), a spinach-like dish called palusami made with taro leaves and coconut milk, octopus, oka i’a (raw fish marinated in coconut milk), and a hot drink made from home-grown cocoa beans. It’s the only time I’ve put on weight during a cycling holiday. Satuiatua Beach Fales on the island’s southern coast. Campgrounds are rare on Savai’i and freedom camping is complicated. 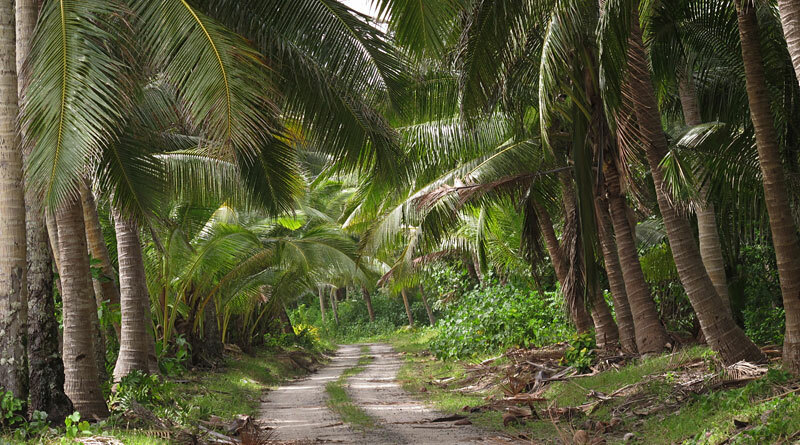 All land in Samoa is in traditional ownership which means every beach, forest and field is owned by someone. Before you pitch your tent you need to track down the land owner, ask permission and possibly pay a small fee. Even strolling on the beach incurs a charge in some places. I opted to cycle clockwise around the island, which got the longest days out of the way first. I soon learned the only sensible strategy was to get up at dawn, cycle for a few hours, then take a siesta or a dip in a stream before carrying on once the worst of the day’s heat had faded. Happily, Savai’i gives you plenty of reasons to take a break from pedalling. The south is sprinkled with waterfalls and blowholes, the western tip has the best beaches and rainforest, the north is dominated by lava fields and volcanic oddities, and the east has the strongest holiday vibe. Plus much of the coast is ringed by coral reefs, often just a few metres off the beach, where you can cool off among multi-coloured fish. My personal highlight was swimming through a break in a reef on the northern coast with a chilled-out sea turtle. The island’s most curious sight is on the northern coast where the village of Saleaula was destroyed by a volcanic eruption in 1905-06. Lava flowed through the doors of the London Missionary Church like red-hot treacle, leaving only the walls standing and solidifying where worshippers once sat. It still bears the imprints of roofing iron which dropped onto the molten rock as the rafters exploded into flames. 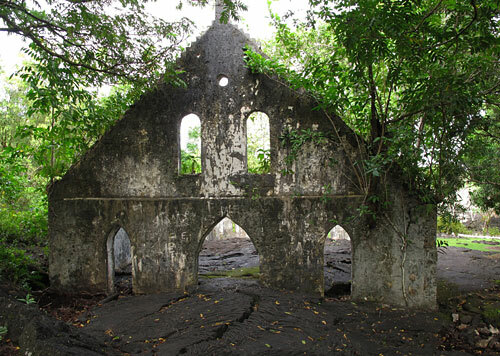 The London Missionary Church at Saleaula was engulfed by lava in 1905-06. Another eruption formed the nearby Peapea Caves, where a young villager walked me through kilometres of underground tunnels formed by flowing lava. The caves are home to thousands of swiftlets, tiny birds which use sonar to navigate bat-like through the darkness. You can hear their high-pitched peeps as they swoop through the cave to mossy nests built on ledges. 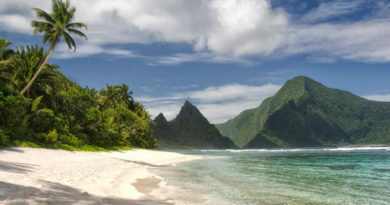 Even better than the sights, however, is the chance to experience fa’a Samoa. On a bicycle you travel fast enough to circle the island in five or six days but slow enough to feel the rhythms of village life. You can peek into perfectly kept gardens and homes built without walls to stay cool, dodge the pigs that have the run of every village, hear hymns echoing from over-sized churches, talk to farmers hiking to their plantations or children streaming home at lunchtime, weave through crowds walking to church in their Sunday best, or join village volleyball matches in the evenings. Or you can just do what the locals do when the heat is too much even for them — find a shady spot under a tree and contemplate the Samoan way of life. 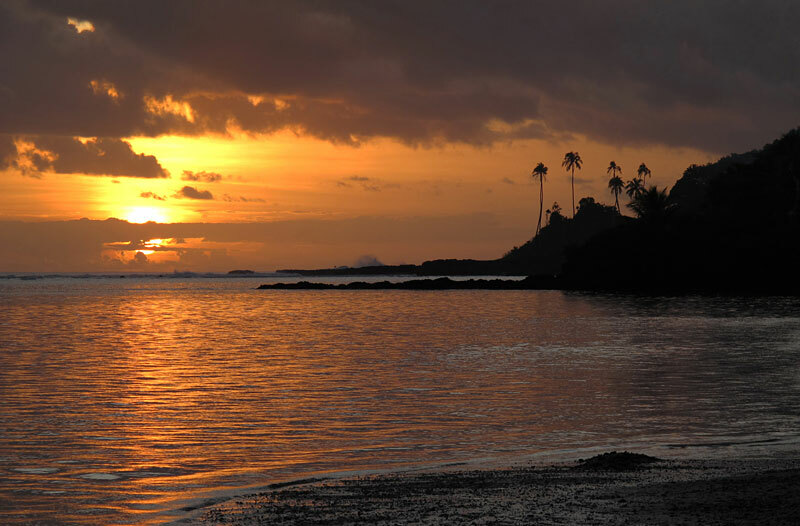 Sunset at Satuiatua, on the island’s less developed southern coast. Photo: Peter de Graaf. Adventure travel firm Outdoor Samoa, run by Kiwi couple Ross and Frances Bidmead, has 70 up-to-date bicycles for hire as well as 10 electric bikes, panniers (luggage bags that clip onto your carrier) and other useful bits and pieces. They are based at Mulifanua on Upolu Island, a few kilometres from Faleolo airport in one direction and the ferry terminal in the other. If you’re heading to Savai’i that means you can take a short taxi ride from the airport to Outdoor Samoa for a bike, then pedal 15 minutes to the ferry terminal. Apia, the capital, is 30km from the airport in the opposite direction. The Bidmeads offer nine-day bicycle tours around Savai’i with bag carry (your bags are dropped off each night at your destination) and fully supported options (an accompanying van carries your bags and, if you’ve had enough of cycling, you and your bike). I opted for the freedom hire option which is bike rental only. Bikes cost NZ$35 a day or NZ$155 a week, plus $5 a day for a set of panniers. Happily, as of mid-2018, the prices hadn’t changed since my visit in 2014. Some of the bigger resorts also rent out bicycles, or if you’re planning to ride more than a few days you could consider taking your own bike. Most airlines will let you take a bicycle instead of luggage as long as you take off the pedals and pack it into a bike box (cycle shops will let you have one for a few dollars). Ask your airline for details. Unlike ferries in some parts of the Pacific, the vessels linking Upolu and Savai’i are seaworthy and punctual. The crossing takes just over an hour and costs 12 Tala (NZ$7) per person plus a small fee per bicycle. On weekdays the ferry runs four times a day; Sunday sailings are limited. Most accommodation on Savai’i is in the form of beach fales. A fale is a basic, open structure raised above the ground with a mattress on the floor, a mosquito net and a corrugated iron or palm-thatch roof. They are usually a few steps from the water and cooled by a sea breeze that beats any air-conditioning unit. At night, or for privacy, you can create walls by lowering panels of woven palm fronds. Toilets and (cold) showers are usually shared. 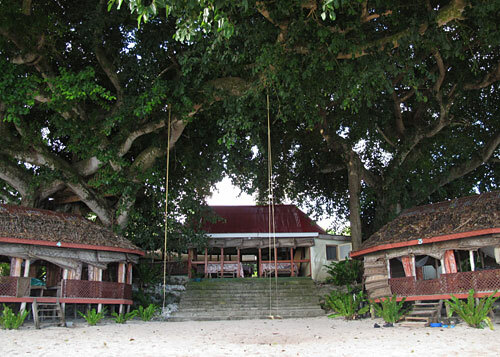 Typical fale-style accommodation on the east coast of Savai’i. Most of these beach fale ‘resorts’ include breakfast and dinner served at communal tables with the food varying in quantity and quality. Some fed me so well it’s a wonder my bike didn’t collapse under the extra weight. 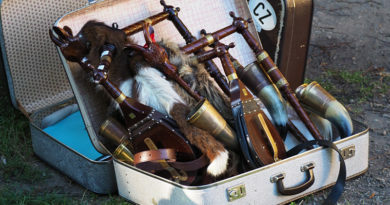 Most are family-run and charge per person rather than per fale, a boon for single travellers. Prices start from about 60 Tala (NZ$34) with breakfast and dinner. If, for some reason, you still insist on real walls and hot showers, more upmarket resorts can be found on the island’s north and east coast. They are, however, few and far between in the south and west so you’d miss out some of the island’s best scenery. There’s plenty of great places to stay but my picks are Satuiatua Beach Fales (nice fales, great setting under giant banyan trees, good snorkeling), Falealupo Beach Fales (beautiful beach in isolated setting, resident pig), Va-i-moana Seaside Lodge (pay for a basic beach fale, get five-star service) and Joelan Beach Fales (I have never eaten so much). Note that staff and prices can change, and the best fales in 2014 won’t necessarily be the best ones now. The 200km trip around Savai’i is an easy five-day ride but you’d be crazy not to spend a few days just swimming and chilling. The only long-ish days are along the south coast where the gap between accommodation is about 50km. The main coastal road is sealed all the way and in better condition than many provincial New Zealand roads; the only unsealed section is the highly scenic detour around the island’s western tip. Traffic on Savai’i is light, and most drivers leave plenty of space and offer a friendly warning toot before they pass. Directional arrows every few hundred metres (another idea New Zealand would do well to adopt) are a reminder that Samoa switched to driving on the left in 2009. The terrain is ideal for cycling, mostly flat with the odd hilly section to keep it interesting. The island has one set of traffic lights. Its purpose is unclear. In 2014 Savai’i had only two ATMs, at Salelologa (near the ferry terminal) and at Manase on the north coast. Credit cards won’t get you far at the smaller resorts so bring as much cash as you’ll need. You’ll get a much better rate (and no exorbitant fees) by changing your New Zealand dollars when you land at Faleolo airport rather than at home. Don’t even think about changing your cash at Auckland airport, unless you can do it online in advance and pick up your Tala before you board your flight. The exchange bureaus at Faleolo airport open whenever a flight arrives. In May 2018 NZ$1 fetched about 1.8 Tala. The number-one hazard for cyclists in Samoa is man’s supposed best friend. Docile during the day, by night or at the sight of a passing bicycle Samoa’s dogs turn into ferocious brutes. The good news is that there is no rabies in Samoa. The other good news is that dogs are less of a problem on Savai’i than on Upolu, the more populated island. 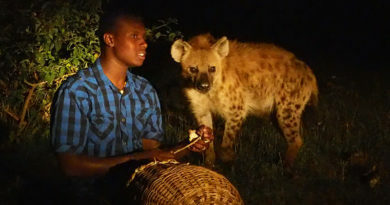 Dogs generally leave you alone if you shout “alu!” (pronounced ah-loo) or throw a well-aimed stone. Usually picking up a stone, or raising your arm as if about to launch one, is enough to send dogs packing. I carried a pocketful of stones around Savai’i and only used them on the last day. A few enlightened chiefs (notably in Manase and on the island of Manono) have banned dogs from their villages. Most land (including beaches) is owned by the villages. That means you may have to ask landowners for permission and pay a fee if you want to explore off-road or use a beach. In most cases it’s a reasonable 5 Tala (NZ$2.80) but in some places it can be as much as 20 Tala. The only place I encountered an aggressive demand for money, simply for stopping to admire the view, was near Falealupo. I declined and had to make a hasty exit. Note that many things in God-fearing Samoa grind to halt on Sundays. Off the main road you may upset locals if you cycle through their village on the Lord’s Day. In that case it’s best to dismount and walk.